Hilma was allowed to stay in La Locanda as long as she would not swim in the pool. As Hilma does not swim, our biggest challenge was to keep her out of Guido's kitchen. 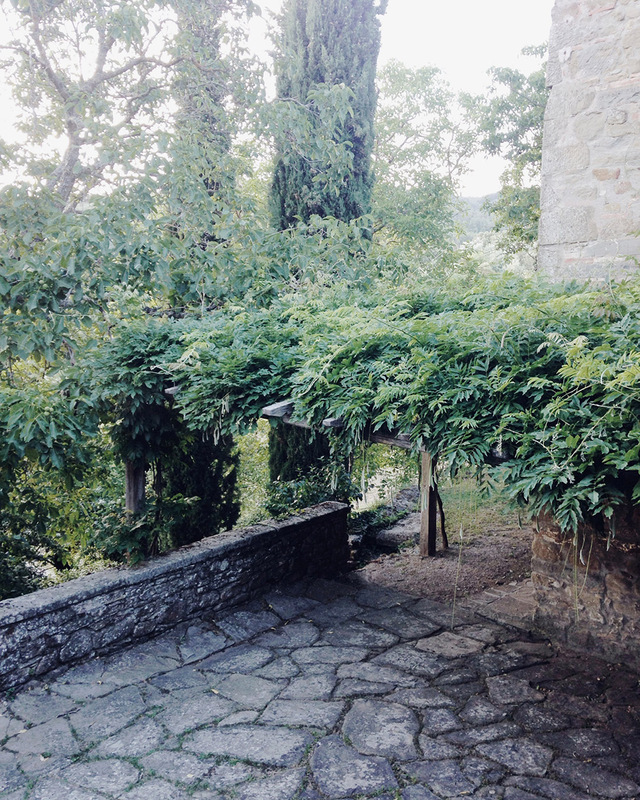 Tuscany in early summer means fresh air and the lushest shades of green. 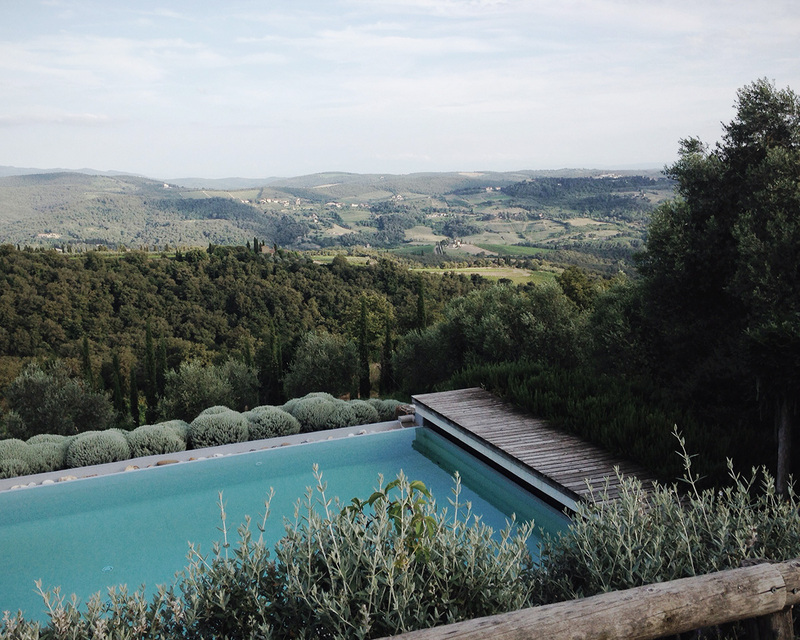 Driving through Tuscany, we spent two nights in La Locanda, a charming B&B located on the hills of Chianti Classico region. Set in a carefully preserved 16th century country house and operated by the most warm-hearted host, Guido, it is the perfect spot for clearing your head after city life. 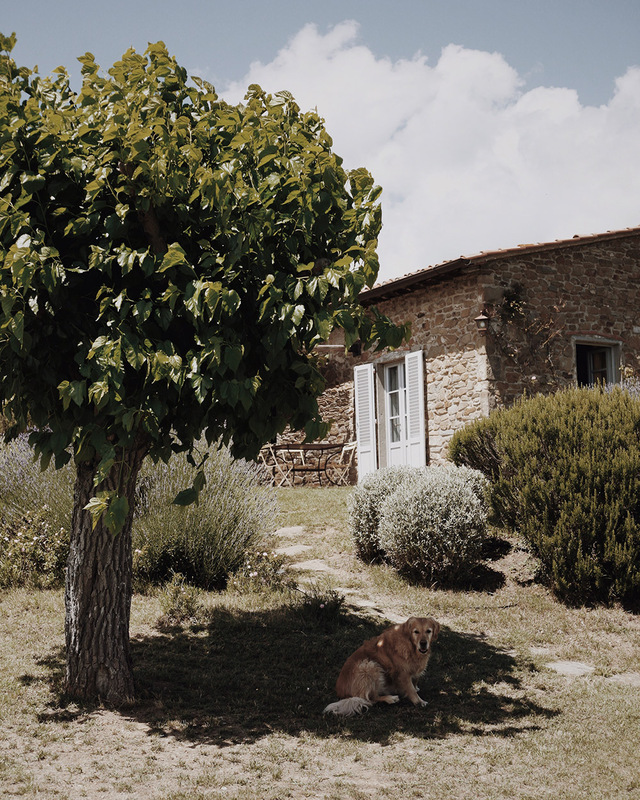 In early June, La Locanda is surrounded by shades of green – freshly awaken woods, wineries and olive groves – and the air is crisp. To experience the depth of the Italian culture, I would extend my visit way beyond Tuscany, but as we were simply after some outdoor life and wine-shopping, we really enjoyed our visit.